This type of microscope utilizes a ray of electrons instead of light to produce extremely high resolution photographs. 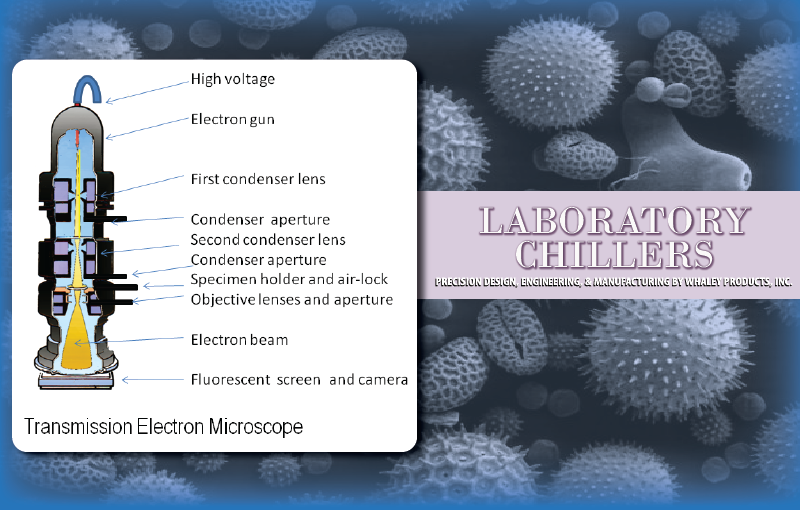 There are three specific types of electron microscopes. Transmission Electron Microscope (TEM): Provides images of specimens up to 1 micrometer thick. Scanning Electron Microscope (SEM): An electron beam scans over an objects surface and builds up a high resolution image of surface structures. Environmental Scanning Electron Microscope (ESEM): Provides an image of a specimen in an atmosphere, it can be used on living organisms and other moist specimens. Combining the techniques has also given us transmission scanning electron microscopes, STEM. This allows chemical compositions of subjects to be identified and photographed. The chemical elements are identified by special sensors called spectrometers. The electron beam must be contained within a vacuum. This way the electrons can be directed at the target object. Objective lens coils then allow the specimen to be brought into focus.